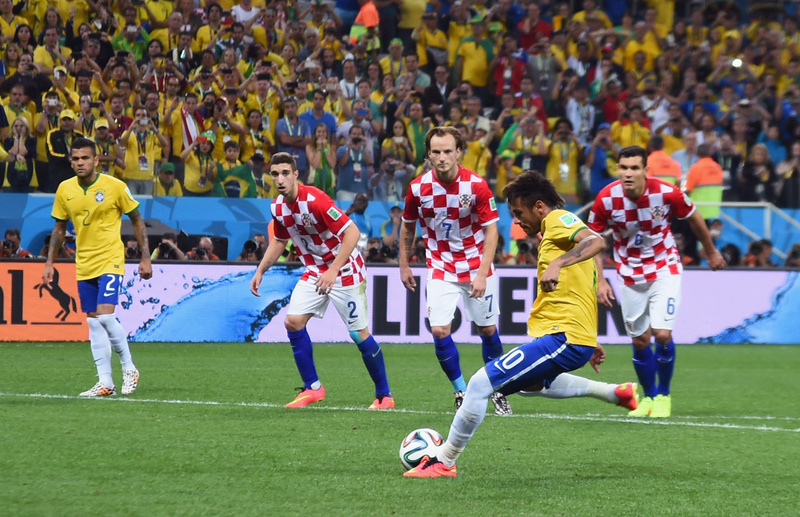 Neymar of Brazil takes a penalty kick during the 2014 FIFA World Cup Brazil Group A match between Brazil and Croatia at Arena de Sao Paulo on June 12, 2014 in Sao Paulo, Brazil. Sunday will be Croatia’s first time ever playing in the World Cup finals. One of the largest Croatian-American communities in the country is in San Pedro, where on Sunday, an entire street will be shut down around the Croatian American Club to accommodate the crowds. On Friday, KPCC's Emily Guerin caught up with a small group of Croatian men who were getting ready for the game.